Stoney Point Natives assemble at Ipperwash Provincial Park for what began as a peaceful protest. The story of Dudley George and Ipperwash. Dale Linton: List of names we got from Ted Abraham, includes several with criminal records. Police Field Commander: I saw it was a couple of DUIs, juvenile arson. Dale Linton: There are assaults, as well. Police Field Commander: No, my point is, it's the same profile you'd get of my kids high school, if you looked. 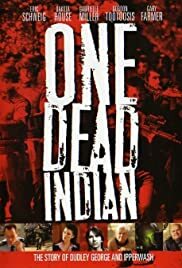 This was a solid effort that pulled no punches, sort of a docu-drama about one of the darker pages of Ontario history, the shooting of an unarmed Indian protester by the Ontario Provincial Police during the native occupation of Ipperwash Provincial Park on Lake Huron. It seems accurate (from my recollection of the events) and although it perhaps wisely does not attempt to portray Premier Michael Harris, the "tough guy" behind the shooting, it does use an actual clip of him in the Ontario Legislature and it reconstructs an actual phone call which revealed the political pressure that was put on the OPP. It's a gutsy and well done film but I doubt that CTV will be getting any commendations from the OPP. Although their senior people come off reasonably well, those "on the ground" that night come off looking a little worse than storm troopers. This is the sort of thing CBC does well now and then. 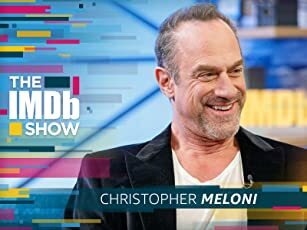 It's encouraging that CTV now also occasionally runs good Canadian stuff like this instead of its usual diet of US trash. For an Ontario audience the story is quite clear. Elsewhere in Canada and certainly outside the country, it may need a little more backgrounding.